Thank you for your explanation earlier. However, I still can't figure out how to set it up properly. The client fills in the amount of minutes, which is multiplied by 1 ($ an hour), than they have 2 more options to choose, these options need to be included in the price calculation. 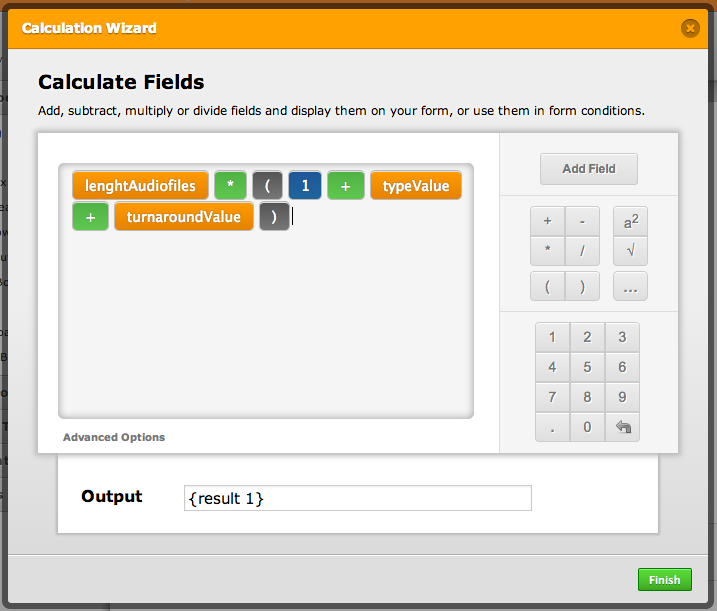 Even after following instructions and selecting them I don't know how to get this added up into the calculation field. First of all you should really use radio buttons instead of checkboxes. Since the user want the user to choose EITHER standart OR VERBATIM. You do not want them to choose both. So, after adding Type Value and Turnaround Value, I need to make them change depending on what the user choses. Again, checkboxes makes this slightly incorrect. If you use radio buttons they will work better. It works pretty well. If you have any further questions please let me know. In addition, you can also assign separated and specific calculation values each one of your checkboxes and Radio Button options in order to get the desired calculation. 1. Right click on the Type field. 2. Then, click on Show Properties. 3. 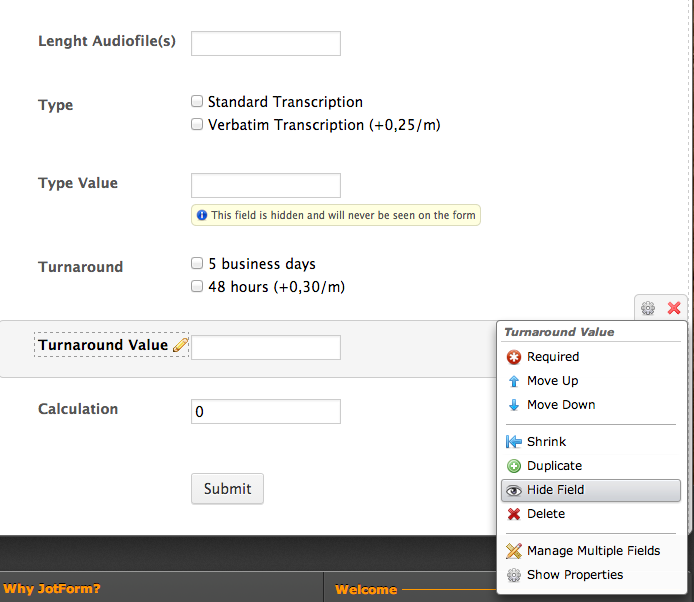 Then, add the values in the Calculation Values section. Simply click on the Click to Edit area. I hope this helps you. Feel free to let us know you need further assistance with this query. That's actually a much simpler solution. 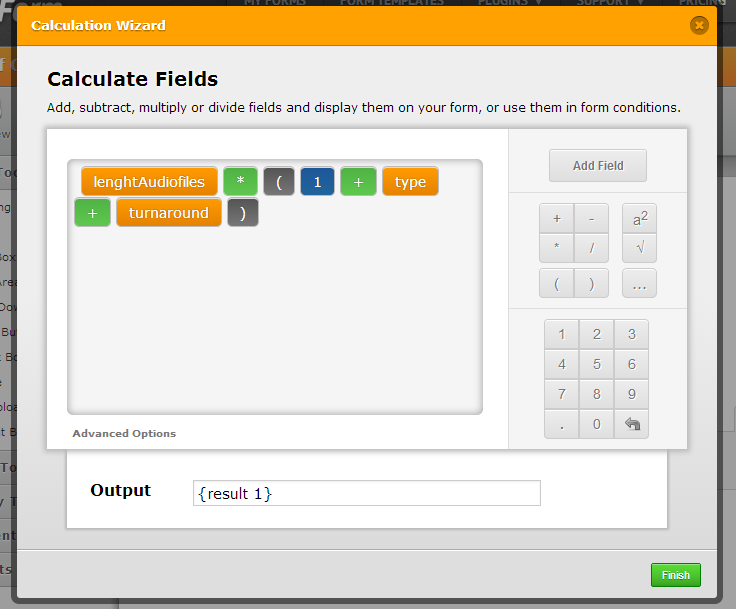 Instead of creating hidden fields, give each option a calculation value. And the final calculation will be similar. 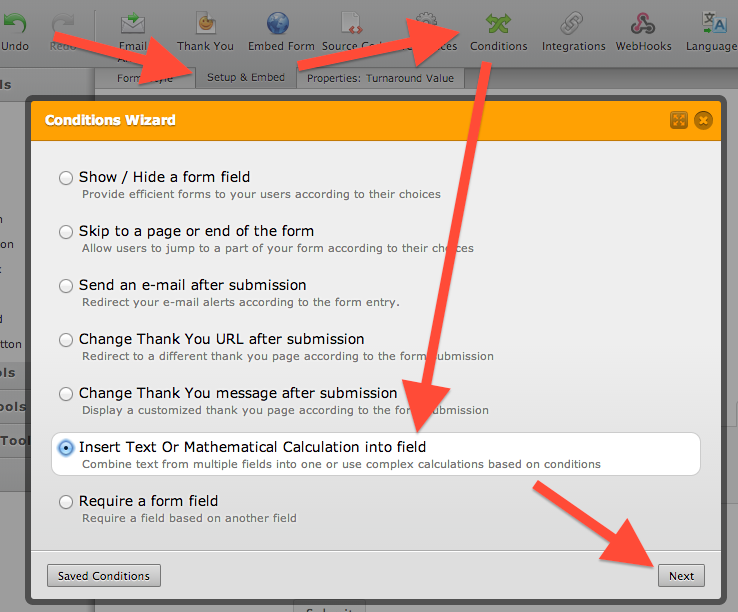 By the way, here is the URL of my cloned form with the already-added calculation values. 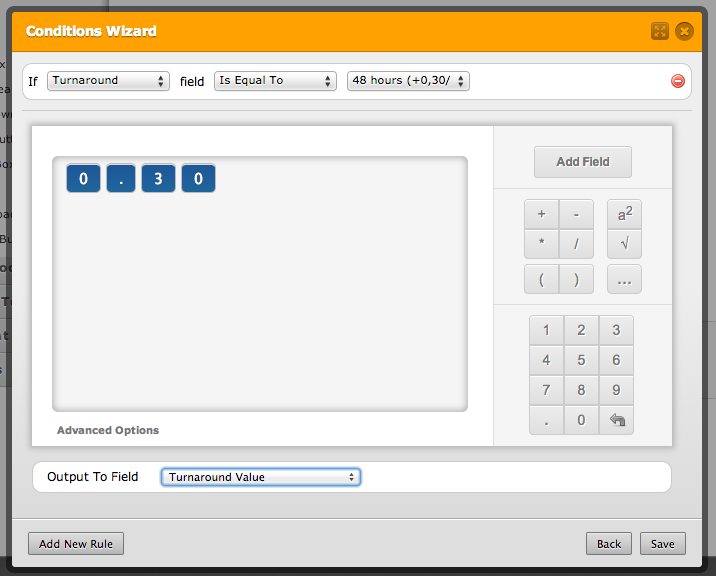 The calculation values of the options of my form are 0.30 and the formula is in this way.